I’m in San Diego for Comic-Con–and tweeting some of my impressions at my Harry_Go_Round Twitter feed. I’ll be around for chat tonight–but a bit late. Feel free to have fun without me. Lemme get this straight–zombie-eyed Hanna-Barbera characters (including a miscolored Top Cat and a miscolored, weirdly-garbed Huck Hound are marching towards Disneyland. Along with a kid in an ill-fitting T-shirt. 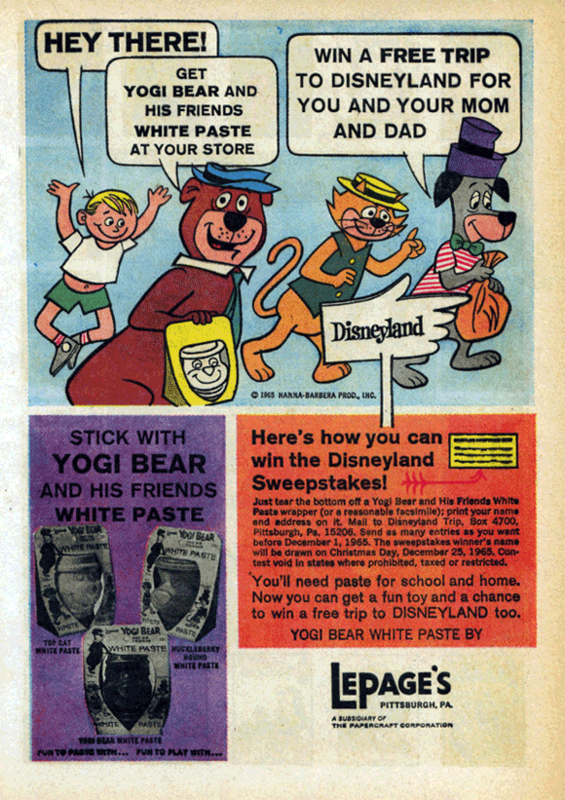 This is the sort of thing that could only happen in an ad for paste.